Using the NRL Code of Conduct as its base, the CBJRL Code of Conduct provides all participants – players, parents, coaches, referees, spectators and officials – with some simple rules that assist in delivering a safe and positive environment to everyone involved in the game. 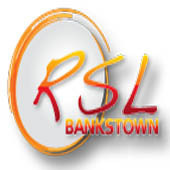 By registering with the Bankstown Bulls JRLFC players, officials, parents and supporters agree to the Code of Conduct in place by the Canterbury-Bankstown Junior Rugby League and the Bulldogs Rugby League Club. 2018 Edition. The NRL Code of Conduct provides all participants – players, parents, coaches, referees, spectators and officials – with some simple rules that assist in delivering a safe and positive environment to everyone involved in the game. Within that safe environment, every Rugby League participant has the best chance to enjoy the game. By accepting the standards of behavior in the Code, we provide opportunities for young boys and girls to grow on the field - we build good players, good citizens and good communities in which Rugby League is a social asset. 2018 Edition. Junior League Laws from Under 5 to Under 12 competitions. 2018 Edition. Rugby League Laws of the Game for 13 years and above. 2018 Edition. The Safeplay Code was developed to emphasise safety and good conduct within the game of Rugby League by creating the best possible on-field environment and actively controlling undesirable actions. It applies to all players from Under 5 to Super 15. 2018 Edition. A summary of major aspects of play for 5 years to adult. 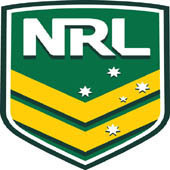 Thousands of Australians participate in Rugby League at various levels on a regular basis. 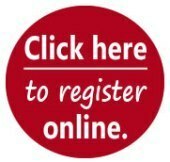 Activities range from the purely amateur recreational level to high profile professional Rugby League. No matter where on the scale an individual is placed, they may be exposed to risks that have the potential to cause physical, financial or legal disaster. Therefore the effective management of risk is an important requirement of everyone involved in Rugby League. Tough Love is Automatic send off’s for punching, Zero tolerance of fighting, Abandoning games for Melee’s, Minimum suspensions for violence, Stamping out abuse of match officials. Be FAIR, Beware, Bewarned. The NSW Junior Leagues will crack down on violence in the Grassroots game. Leagues have agreed to the “Tough Love in League” regulations. The program has the endorsement of the NSW Rugby League, and is documented in this brochure. No longer will a minority ruin the Rugby League experience for the vast majority. According to Medibank Surveys it's revealed that Rugby League isn't the most dangerous sport to play with AFL, Soccer, Netball, Cricket and Running rating as more injury-prone sports. Consistent surveys prove that Junior Rugby League with the SafePlay Code and Modified Rules in practice is one of the safest Junior Sports for people to play. 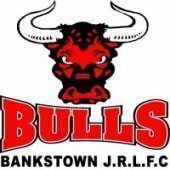 Bankstown Bulls Junior Rugby League Football Club Inc.